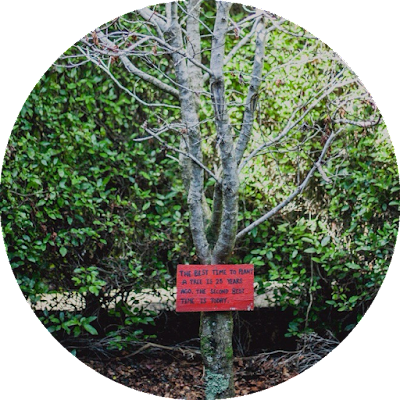 In 2012 I took a trip to Tasmania and more specifically Tasmazia, a hedge maze with hand painted quotes weaved amongst the rows. I'm terrible at remembering quotes but I always remember the sentiment of this one, even if I muddled a few words in delivery. The best time to plant a tree is 25 years ago, the second best time is today. 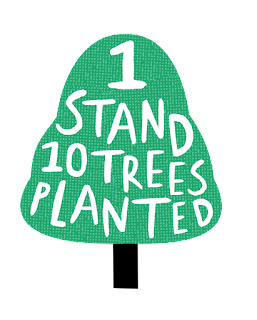 I love being able to make stands but it's equally important that they are formed in a sustainable way and that I give back to our Earth, so for every stand bought, 10 trees will be planted. I'm working with Carbon Neutral - if you want to know more about their program feel free to visit their site - here.